Last week I drove to New Orleans for Peers Conference. It was a bit of a whirlwind because we also released video support in Micro.blog and updated 3 of the apps, which I knew might be a little too much to attempt to do while traveling. In fact, we did miss a couple bugs and updated Sunlit the next day, and a new Micro.blog iOS update will follow this week with more improvements. I had a great time in New Orleans. 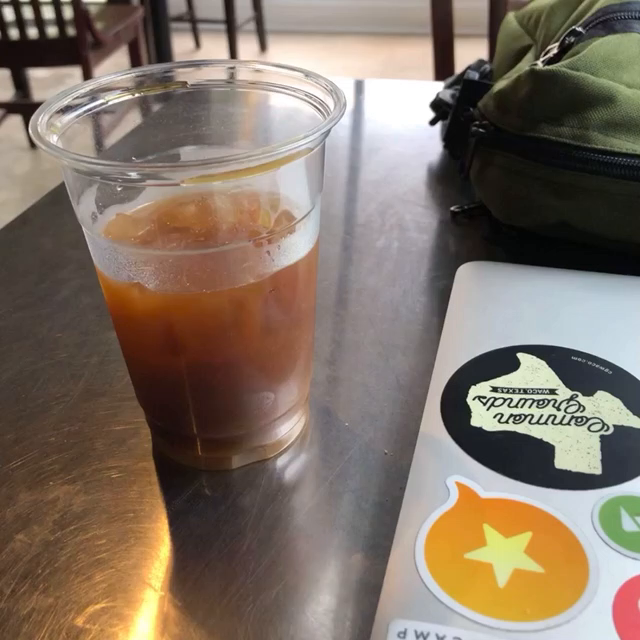 The drive from Austin is 8+ hours, but I took even longer to make sure I had enough breaks from driving, for lunch and coffee and catching up on work. I took a few photos which I’ve collected together using Snapthread here to share as a short video. Peers Conference itself was great. Though it’s traditionally a web conference, this year leaned more toward business so the sessions were exactly what I needed to hear. It rained a bunch. Early Friday I settled in at Stumptown Coffee to work on Micro.blog. I didn’t end up seeing much of the city, but had a chance to walk around Jackson Square between sessions and there were great conversations in the evening over beers with fellow attendees. Saturday I had breakfast at Merchant around the corner from the hotel and then hit the road back to Austin, stopping for lunch at a hotdog place in Lake Charles, Juiceland near a biking trail in Houston, and mostly missing the rain that had also drenched Austin until I was close to home. It was a long day but very glad I made the trip.